People who drink coffee often face stains on their teeth, but those with creamer as one of the main ingredients in their drink may not have the same problems. Coffee is very dark and often causes stains almost on contact, but when you drink a lighter shade of coffee, the staining is often much less. 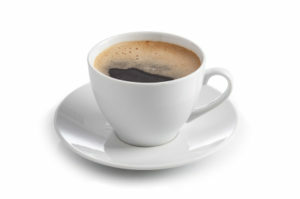 If you cannot live without your morning cup of coffee, you may want to consider adding a bit of creamer to your cup. Aside from drinking coffee with a creamer to light up the shade of beverage you drink, there are a few other things that you can do to help reduce the stains your teeth get from coffee. Drinking your coffee through a straw allows much of the coffee to go straight down your throat when you drink it, bypassing your teeth entirely. Drinking iced coffee also allows you to have less staining because as you drink the coffee, you are drinking something that is watered down. Some toothbrushes incorporate sonic waves while brushing, which some claim to help reduce the effects of drinking things like coffee (and wine) which are known to stain your teeth. However, the best method of making sure that your coffee does the least amount of damage possible to your teeth is to make sure that you are seeing your dentist regularly while drinking your creamed coffee through a straw. You will minimize the amount of staining your teeth are exposed to, and your dentist can help polish up your teeth to a beautiful white shine each time they give you a good cleaning. Call your dentist today, while you are out stocking up on coffee straws. That way, you can enjoy your cup of coffee without looking like you ate mud for breakfast.